Item is used, worked and works great. It allows for all functions including finger print touch ID. Naked or open front screen design. Includes headphone adapter, cleaning cloth, user's manual, testing unit. Touch ID supported. Note that Lifeproof Nuud case for iPhone SE 5s/5 has no screen by design. Trending at $86.22eBay determines this price through a machine learned model of the product's sale prices within the last 90 days. 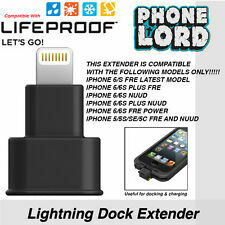 1 x Made For Lifeproof Lightning adapter for iPhone 5/S/C/6/S. WHAT’S IN THE BOX Coming soon. TECH SPECS. Handy for docking. 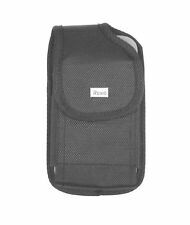 Holster Belt/Clip Case / Cover For Lifeproof Fre Nuud iPhone 5 / 5S & 5c. This Case COMPATIBLE WITH LIFE PROOF IPHONE 5/5S & 5C FRE/NUUD CASES ON IT. WITH VELCRO CLOSING FLAP & WITH SNAP LATCH FOR EXTRA PROTECTION. 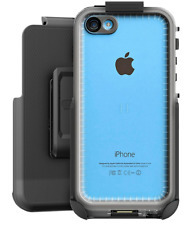 COMPATIBLE WITH LIFEPROOF IPHONE 5/5S & 5C FRE/NUUD CASES. PHONE & LIFEPROOF CASE IS NOT INCLUDED. WITH VELCRO CLOSING FLAP. BUILT IN BELT LOOP. Plug in and rock out while you explore, train and live with the LifeProof Headphone Adaptor for LifeProof fre and nuud waterproof cases. Two 3.5mm Headphone Adapters. Check-Out Now! Encased Belt Clip Holster Pouch Lifeproof FRE NUUD Case iPhone 5 5s 6 6s Plus "
1 x Made For Lifeproof Lightning adapter for iPhone 5. WHAT’S IN THE BOX Coming Soon. TECH SPECS. Handy for docking. 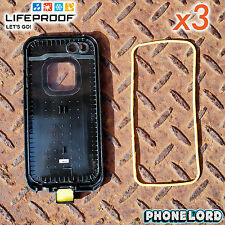 3 x Lifeproof iPhone 5/S Fre or Nuud Main Seal O-RIng in Yellow. WHAT’S IN THE BOX. 1 x Lifeproof iPhone SE/5/5S Fre or Nuud Main Seal O-RIng in Yellow. WHAT’S IN THE BOX.